Why do people buy Property off the Plan? Buying property off the plan has often been seen as a way to invest in future development at today’s prices. The State Government is encouraging development around areas where there is transport infrastructure in place, such as railway stations. A recent change to Sutherland Shire Council’s Local Environment Plan (LEP) is one example and it will lead to buying Property off the Plan being more common practice in Sutherland Shire in the near future. The Sutherland Shire Mayor stated “Sutherland Shire is set to have approximately 10,000 new properties in the next 5 years mainly round Engadine, Caringbah and Miranda close to transport”. There are always risks in buying property off the plan, as you often cannot “see” what you are buying and how it relates to other properties around it. When you buy off the plan, you are paying for a property where the end product may not only differ from your expectations, but be worth less than what you originally paid by the time it is finished. Property prices not only go up but also go down. If you are thinking of entering into a contract to buy premises not yet built, you must exercise caution and gain appropriate legal and other advice before signing any documents or paying any money as there are risks in buying Property “Off the Plan”. 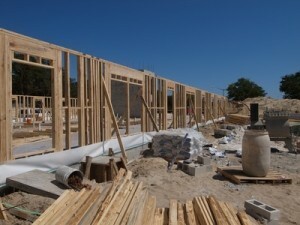 Changes to Plans, the developer may vary the design of the property and properties around it without the buyer’s approval. Settlement (when you or your tenant can move into the property) may be delayed substantially due to weather or council approvals. Funds to complete the purchase, you need to ensure you will you have the funds required to settle the purchase. eg. If settlement is in 2 years time are you going to be in the same financial situation. Does the contract allow you to on-sell to another purchaser prior to settlement. These are but a few of the many things you need to consider with off the plan purchases or sales. At Watkins Tapsell our Conveyancing team has considerable experience in acting for both developers drafting sale contracts as well as acting for purchaser’s buying properties off the plan. We ensure that the contract protects the interests of the parties so that the whole process runs as smoothly as possible.